Many many thanks again. Finally, we hope to donate 5% of all profits from our company, Notes from Spain S.L. 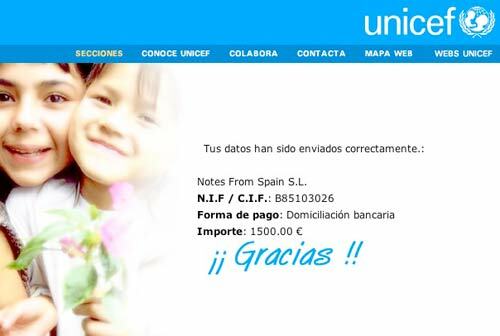 (parent company of Notes in Spanish), to charity in 2009, mainly children’s charities again.